ROXBORO, N.C. (WTVD) -- Halloween will never be the same for the Brogden family. 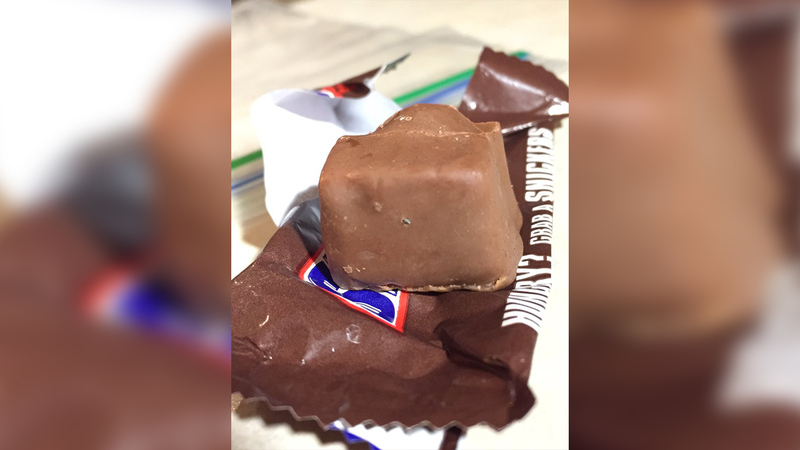 Misty Brogden of Roxboro told ABC11 Monday she'll never let her kids go trick-or-treating door-to-door after her oldest daughter, trying to enjoy her younger sibling's spoils, ended up biting into a needle tucked away inside a chocolate candy bar. She said it happened Sunday afternoon around 2 p.m., the day after her three youngest children went trick-or-treating in the Huck Sansbury neighborhood. Kaleigh Brogden, 15, said she grabbed a bite-size Snickers bar from her little brother's Halloween bucket, opened the wrapper, took one bite and she felt a sharp object. "I put it in my mouth and I went to bite down and then a needle was like sticking in the top of my mouth," she said. Misty said she heard Kaleigh scream and ran into the bedroom where she found her daughter. "She had her mouth open and she just had this horrified look on her face and she was holding a half-eaten Snickers bar," said Misty. Misty didn't know whether it was a nail or a needle, but called the Person County Sheriff's Office to file a report. On Monday, she took her daughter to the doctor where Kaleigh received tetanus and Hepatitis B shots. 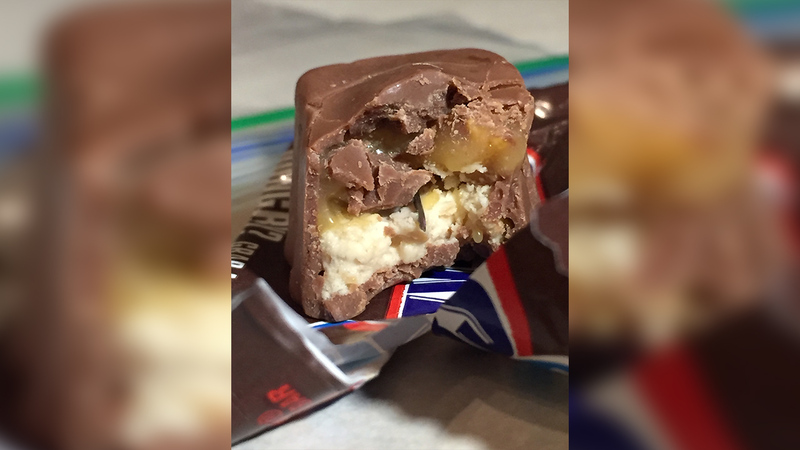 The teen then accompanied her mother to the sheriff's office where they delivered the half-eaten candy bar to investigators. "Anytime that somebody's potentially going to hurt a child it's just as serious as it gets in my opinion," said Al Rhew, Chief Deputy. "But at this time, I'm not sure if this is just an isolated incident or was this something widespread." Rhew said this case and others in Pennsylvania are very similar, but it's too soon to tell if they're connected. "Was it something from the factory or something that was put in after the fact, at this stage we just do not know," he said. Brogden has been taking to social media, urging parents to go back and recheck their kids' candy. However, her warning has been met with accusations it's all a hoax. "If they don't want to believe it then you can't make them change their mind," said Kaleigh. For Misty, who said she personally inspected her kids' candy including that particular Snickers bar, missing a tiny hole in the end of the wrapper, she insists it's no trick. "For those that choose not to believe it, I hope it doesn't happen to their child," she said.